I’m coming up on my 500th post for my blog this week! I can’t believe I’ve stuck with this blog writing thing for over three years now!!! It’s been so wonderful to have a place to document the lovely days, the struggles and the wonder in the every day. I started out in this space to document things that made me happy, things that inspired me and projects I was working on. It’s evolved into the story of my family and the story of me as a wife, mother and woman. Writing this blog every week has even brought me to meet many incredible people online and (even in person). I have become a part of an amazing community of bloggers around the world and I am so glad I put myself out there three years ago to create SummerPlaysHouse. So in celebration, I have put together a few giveaways this week and in the next coming weeks, from myself and a few people close to me. This first giveaway is from a wonderful Etsy store called Marci’sGarden. Marci (who just happens to be one of my favorite people and my cousin) makes the most lovely of things for babies and adults alike. Fabric balls for children, crocheted goods, reusable bags for groceries (We have 5 of hers and use them daily! ), reusable sandwich bags and so much more… You can check out her store here. 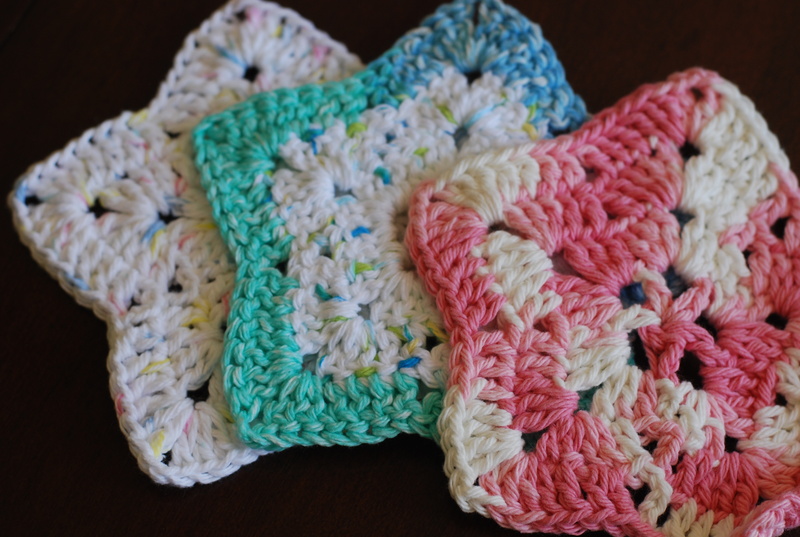 For my first ever giveaway, she has generously donated a set of fabric balls and a set of crocheted wash clothes. 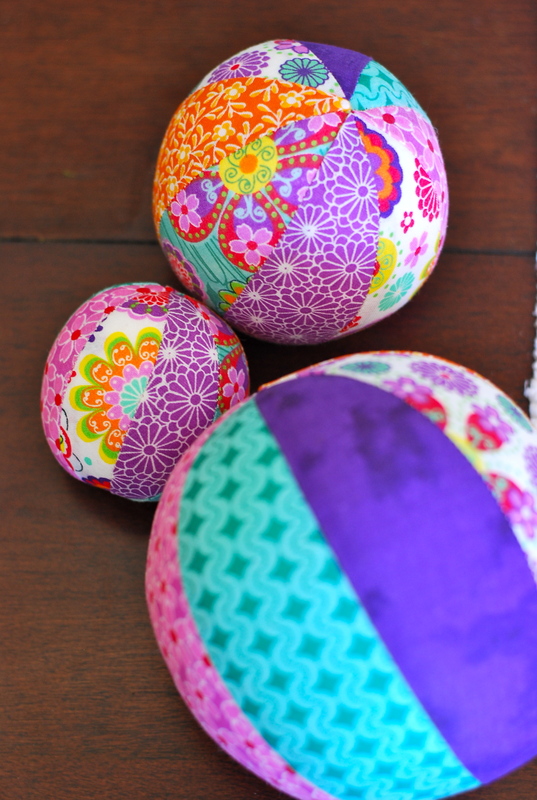 These fabric balls come in all different colors and are three different sizes. They are soft and squishy and perfect for little hands to hold, grasp and throw. Ellie has a set of them and she brings them out daily. They make incredibly lovely shower gifts or birthday gifts for a little one. wash cloths. Ellie has a set of these as well and we use them every night during bath time. 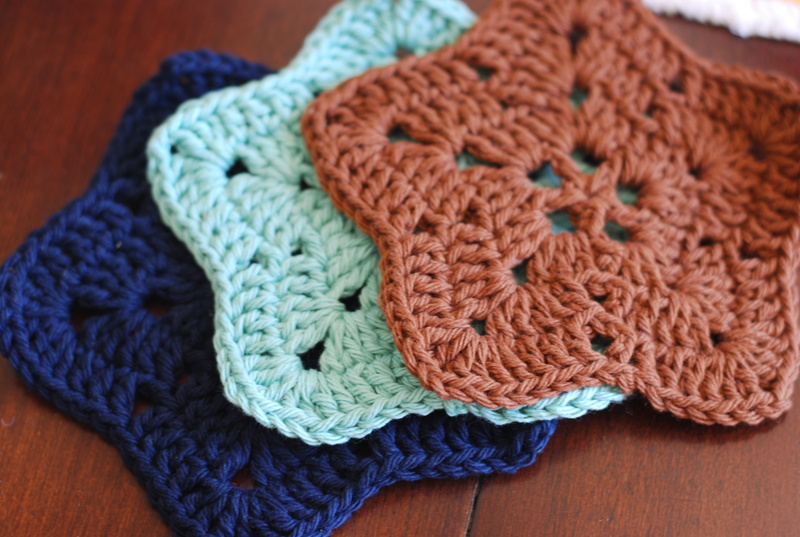 The shape makes them so much fun to wash with and the yarn is super snuggly and soft against her skin. They are so sweet and lovely! So please go check out Marci’s wonderful store with all of her handmade goodness!!! (She’s having a sale in her store as we speak)! And if you would like to win one of these lovely sets of fabric balls and wash cloths, all you have to do is leave me a comment!!! I will be picking names out of a hat, old school, and let you know who the winner is, next week! Good Luck!! ****GIVEAWAY CLOSED**** The winner is STACIA!! This entry was posted in Uncategorized and tagged fabric balls, giveaway, Marcisgarden, washcloths. Bookmark the permalink. You are such a beautiful person inside and out. Thank you for sharing your beautiful life story! I would love to win these goodies from Marci’s garden! Avery would just love them!! What a talented family ! Well, what can a gal say to a friend as funny, smart, inspiring and plain darn awesome as yourself, other than – “I’m so very glad our ‘paths’ have crossed and I heart you lots and lots!” You are a terrific mum and I hope that one day I’ll be able to say that to you in person 🙂 Well done on this incredible milestone! Summer you are such a great Mom and teacher!! The way you let Ellie explore and be herself is so awesome and I applaud you for that!! Since we are so far away I still get to watch Ellie grow up through your blog! Thank you for that and we have to find time to get together this summer. If we don’t definitely after December!!! Congratulations! Those items are precious. 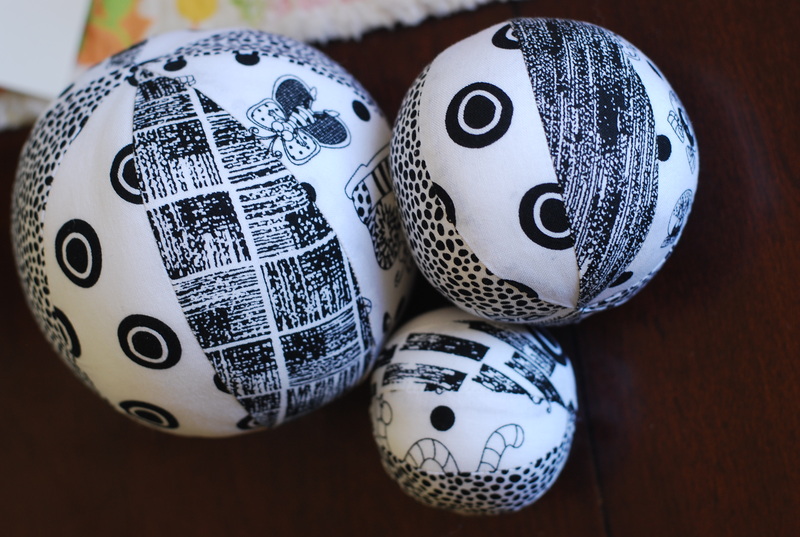 A friend of mine is having a baby very soon and those fabric balls would be an awesome present! Her shop is nice and so are those tea wallets 🙂 Thanks for the giveaway and have a beautiful day!! But my son LOVES balls! He throws his balls all over the yard and sometimes brings them inside and throws his balls all over the house too. I’m going to look into these soft balls! Looks fun! Your cousin makes some great stuff! Very cute. Huge congratulations, Summer! I always enjoy your posts as they are a glimpse into your life all the way across the country 🙂 Like Tracy said, cheers to 500 more!!!! Always love reading your posts. The joy you take in raising Ellie is so evident and wonderful to read. Happy 500th Summer! Thank you for sharing you with us :). And, love the fabric balls and wash clothes! I’m so glad I found your blog (I think it’s been over a year now?). I very much enjoy your life stories and seeing snippets of your life, home and adorable baby girl. Congrats on reaching 500 posts! (now I feel I need to go back in your archives, if its been 3 years you must of been writing when you were pregnant with Ellie!). LOVE THESE summer!! love reading the blog too and we would very much enjoy one of your beautiful handmade gifts!! I love sweet homemade gifts! Congratulations on this huge milestone!! What a neat deal for your readers. You’re the one who deserves a free treat, so give yourself one too. I’d love some of those balls for June to have to play with if I get lucky enough to win something. Congratulations on three years blogging. Everyone has enjoyed each and every one. Love you. We are hoping to have another baby semi soon and have baby visitors often. These would great to have around the house. Im sure our 2 yr old would love them as well. I continued to be so inspired by your posts, and am thankful I’ve been able to stay in touch with you and your journey into motherhood. I truly hope to be just a smidge as creative as you with my own children one day! Summer! Love reading about your wonderful adventures and projects. It would be awesome to win these for my niece that will be born in July! A lovely giveaway- thank you! Summer, you are amazing! Sweet, thoughtful, creative and a wonderful mother to Ellie! These are super cute and congrats on keeping up with your blog! Happy 500th!! Thank you for your generosity! !